There are plenty of nice media streaming apps in the stores. Even so, we felt that there was a shortage in the number of such apps that focus exclusively on exciting outdoor adventure activities. The arrival of the FishFlicks project was like of breath of fresh air for our team - firstly because we were already looking for an opportunity to work on an app like this, and secondly, it presented all-new challenges for our developers. At Teksmobile, we love taking on tasks that push our skills and creativity - and FishFlicks was right up our street in that regard. ...dedicated mobile application for streaming fishing and outdoors shows and videos in Australia. Shows are available round the clock, and on-demand videos can also be viewed on the app. A great app for everyone who is interested in fishing in particular, and outdoor activities in general. From fishing shows and spear & hunting shows, to product videos, how-to-tutorials and demos - the FishFlicks app has it all. From the very start, we wanted to create an app that offered entertaining, varied viewable material for fishing enthusiasts. Well played to the Teks team...they did the job well. The FishFlicks mobile app is free and is available to users as a part of their Fishflicks membership (fishflicks.tv). It takes up the overall value of the membership plan quite a bit, that’s for sure. ...both the Android and iOS platforms. 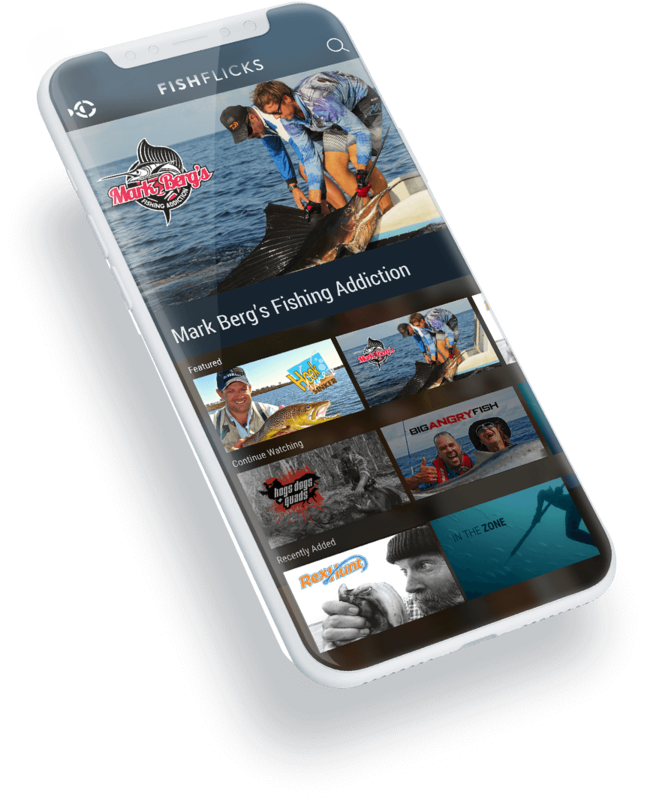 FishFlicks is easily the top Australian fishing and outdoors channel - and given the huge number of nationwide viewers, making the app available on the two leading mobile platforms made a lot of sense. Every FishFlicks member can download and install the app, and enjoy shows 24x7. FishFlicks had to be designed for iOS and Android...but we were not quite sure about contacting separate app companies for the two versions. Hussain and his team’s track record of creating multi-platform apps was impressive - and both versions of the app were completed quickly, flawlessly, and in just the way originally planned. 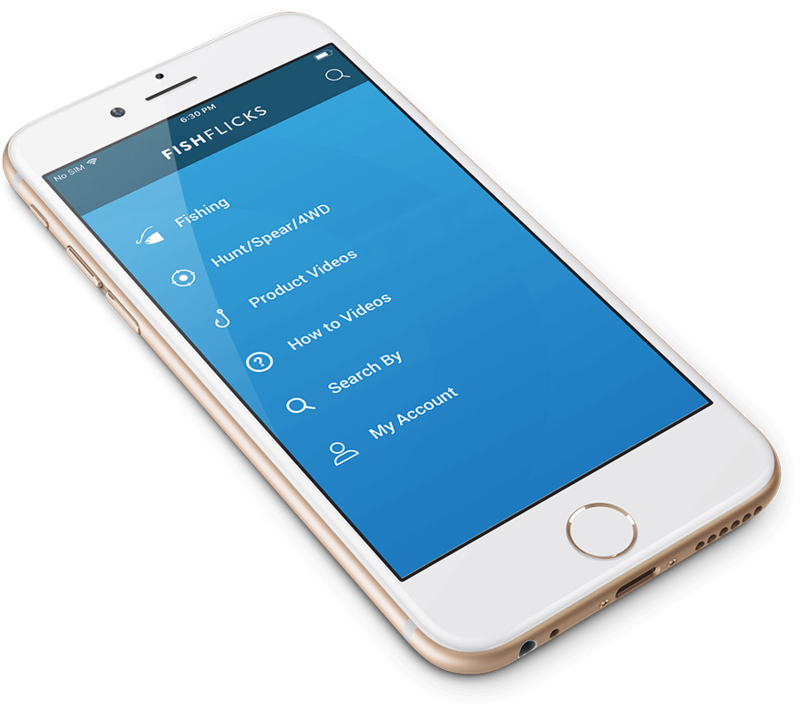 The iOS version of FishFlicks can be downloaded on devices (iPhone, iPad and iPod Touch) running on iOS 9.1 and later iterations of the platform. The Android version, on the other hand, is compatible with v.4.1 and higher. The FishFlicks app can be downloaded on both smartphones and tablets. The sheer variety of shows and videos available on the app is mighty impressive. For fishing enthusiasts, FishFlicks packs in countless informative and exciting videos - covering a vast range of fishing-related topics. In all, there are more than 1000 hours of video content in the app. We had quite a few rounds of discussion with the concept owners (Beyond Entertainment), for finalizing the show categories. Apart from regular fishing videos, content related to hunting, spearfishing and 4WD were included. New videos and shows are also added on a regular basis. For those who love fishing, the FishFlicks app is pretty much ‘unputdownable’! While product videos and tutorials offer a great deal of information, we did not want FishFlicks to miss out on the many popular celebrity fishing shows. On the app, people can enjoy shows by Line and Sinker Boys, Rex Hunt, Paul Worsteling, Steve Starling, and many others. All the content on FishFlicks TV is exclusive. To remain engaging, a video-streaming app needs to have plenty of enjoyable, high-quality content, with new stuff being updated regularly. FishFlicks delivers on that count - and then some! ...computers and smartphones and smart TVs and widescreen televisions. In addition to iPhones and Android handsets, users can check out the videos on Apple TV via Airplay, and use Google Chromecast to stream content on television. The availability of FishFlicks on multiple media devices boosts the overall convenience factor of viewers. Shows can be streamed and watched at any time, on all compatible devices. The videos of the popular shows are neatly organized in different seasons, in the FishFlicks mobile app. ...fishing enthusiasts need to keep up with this rapidly evolving field of outdoor activity. New, sophisticated fishing equipments and gears are being manufactured and launched frequently - and the app serves as a handy tool for making viewers familiar with such latest fishing-related products. With FishFlicks, we have tried to maintain a balance between entertainment, excitement, and informational content. 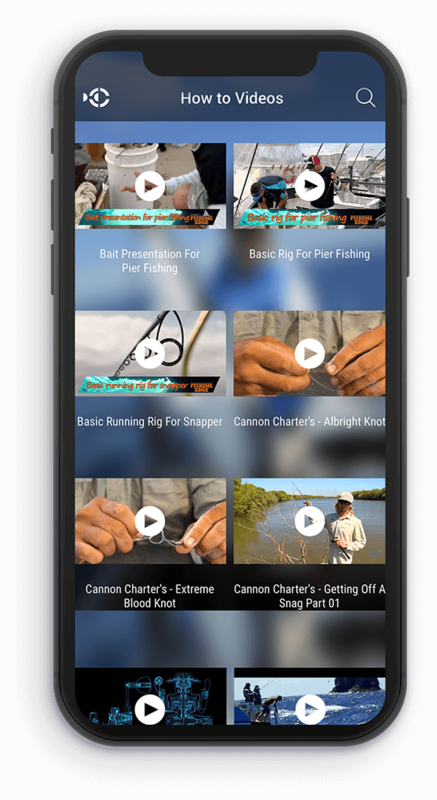 The app has a fairly large number of how-to videos, ideal for acquainting viewers with the various nitty-gritty and activities related to fishing. FishFlicks captures adrenalin-pumping actions from some of the most enchanting, dynamic places in the world. The developers working on the project had great fun checking out some of the show episodes during the testing phase. Making the FishFlicks app was challenging, but it was inspiring too. ...competitively priced. 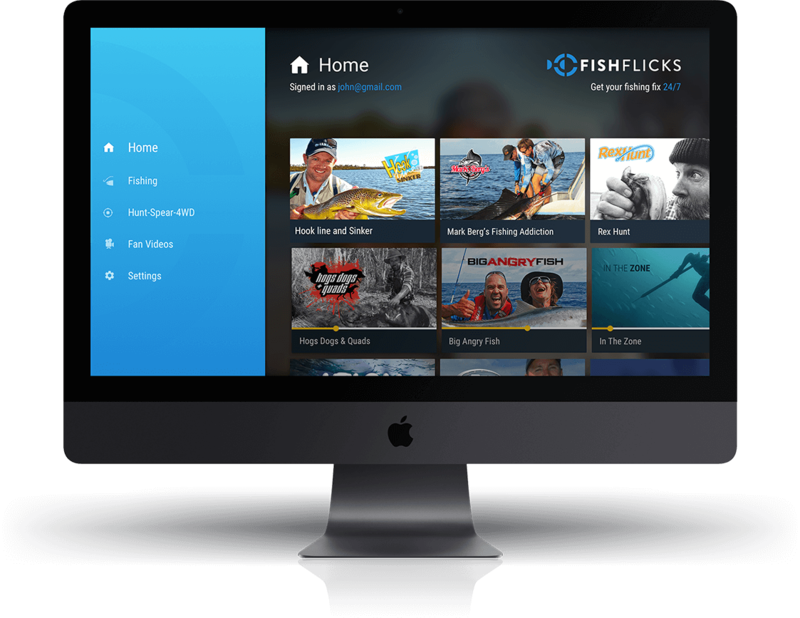 While the app itself is free, membership plans of FishFlicks TV are priced at AUD $1.98/week (monthly subscription) and AUD $1.52/week (annual subscription). Viewers have a 7-day FREE trial period as well. The content on FishFlicks is premium, but the videos also have uniform appeal among fishing enthusiasts all over. The makers wanted to give people a taste of the type of fishing shows and videos available on the channel, before charging money from them. A person can decide to spend money only if he likes what he sees on FishFlicks. Apart from AUD, the FishFlicks subscription can be paid for in USD, Euro, and Malaysian Ringgit. The 7-day trial period is available on both the monthly and the yearly plans. If great video content and streaming material is the biggest reason for the wide popularity of FishFlicks app (both iOS and Android versions), our unwavering attention to quality standards also play an important role. Given the humongous user-base of the channel, we had to make sure that the layouts and controls have to be right on the money from the very outset. There was no room for error. On FishFlicks, the videos are mostly of very high quality, and the streaming is quick, interruption-free. There are videos that date back more than a couple of decades - which are, understandably, not as cutting-edge, but still, easily watchable. 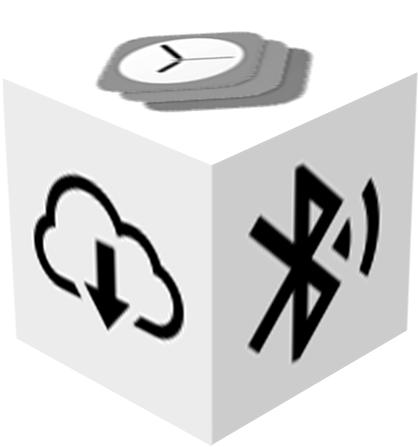 Playback is possible in portrait and landscape modes.